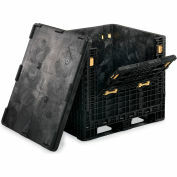 Durable containers.. 100% recyclable structural foam construction. 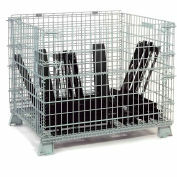 4-way fork access. 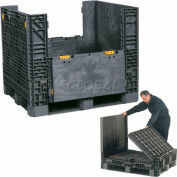 Static containers may be stacked up to 6 high. 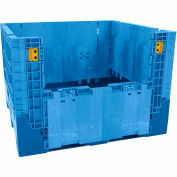 Dynamic loads stack up to 4 high. 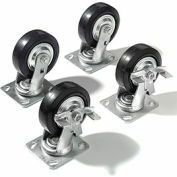 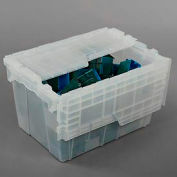 Snap lock latches offer easy set up and collapse. 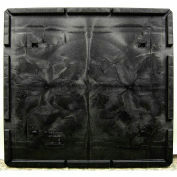 Color: black. 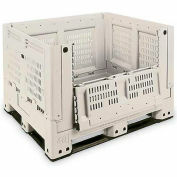 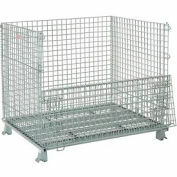 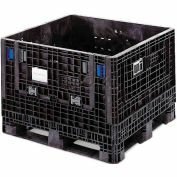 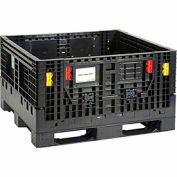 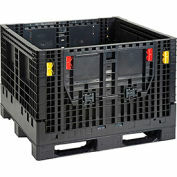 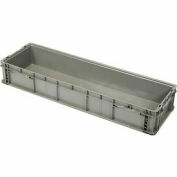 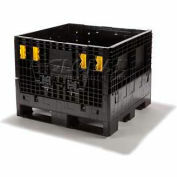 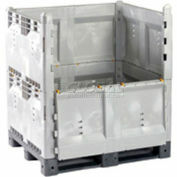 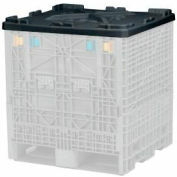 SHOWN IN PICTURE: 48x40x39" container with optional 48x40" lid, sold separately.